Nickelodeon South East Asia has announced the exciting Nickelodeon International News in their latest cover photo and in a series of posts on their official Facebook profile page, Facebook.com/nickasia, that Nick SEA will be premiering the third season of Nickelodeon's hit original animated series "The Legend of Korra", titled "Book Three: Change", and showing brand-new episodes of Nickelodeon and DreamWorks Animation's popular CG-animated Nicktoon "Kung Fu Panda: Legends of Awesomeness" over two weeks in February 2015, as part of the channels all-new programming block called "Oh My Goat!"! 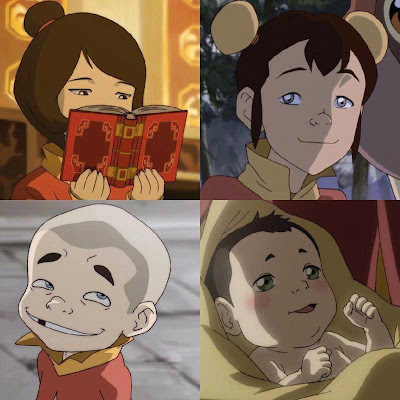 .‪#‎TuesdayTrivia‬: Can you name all 4 of Tenzin's kids? 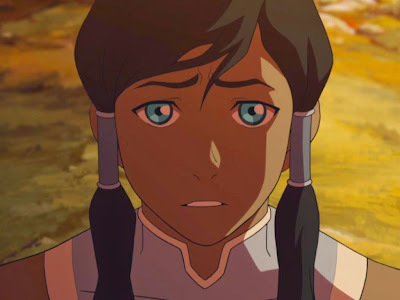 The Legend of Korra Book 3 PREMIERES on Monday, Feb 2 @ 5:25pm (WIB) | 5:30pm (PH) | 6:25pm (MY) | 6:50pm (SG)! 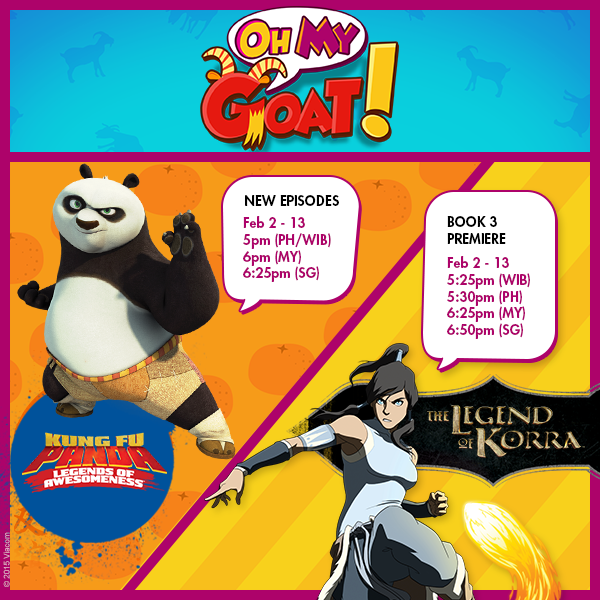 OH MY GOAT, are you ready for brand NEW episodes of Kung Fu Panda: Legends of Awesomeness & the premiere of Book 3 of The Legend of Korra?! Follow NickALive! on Twitter, Tumblr, Google+, via RSS, on Instagram, and/or Facebook for the latest Nickelodeon Asia, The Legend of Korra and Kung Fu Panda: Legends of Awesomeness News and Highlights! Win Tickets To Attend Nickelodeon Kids' Choice Awards 2015 And More Prizes! Below is a list of competitions which are giving Nickelodeon fans and viewers around the world the chance to win a money-can't-buy prize - tickets to attend the live Nickelodeon Kids' Choice Awards 2015 awards show ceremony in Los Angeles, California, USA in March 2015! This years Kids' Choice Awards ceremony, Nickelodeon's 28th Annual Kids' Choice Awards, promises to be the biggest KCAs ever! Taking place live in LA on Saturday 28th March 2015, the Nickelodeon Kids' Choice Awards 2015 will feature the world's biggest stars and more slime than ever! Imagine getting to see your favorite singers & actors and seeing the luckiest celebrity's getting slimed in person all on one stage! Plus, you could be on NickHeads' TV's all around the globe when Nickelodeon's international channels and networks transmit the 2015 KCAs around the world within hours of the show airing live in the United States! The 2015 Nickelodeon Kids' Choice Awards is sure to be the slimiest KCA's ever! To be in with a chance of winning slimetastic KCA 2015 tickets and more, simply enter the contests listed below. Good luck to everyone who enters! I'll be posting the latest KCA 2015 contests in this post as I find them, so keep checking back! Know of a KCA 2015 contest I haven't posted? Let me know on Twitter, Facebook or Google+! * Includes roundtrip airfare for two, ground transportation to/from airport and to/from award show, hotel accomodations plus $125/day for food. Does not include transportation to/from hometown airport, souvenirs and extra excursions. Nickelodeon, the number-one entertainment brand for kids and families, has teamed up with children's skate-shoe brand Heelys to offer NickHeads in the UK, France, Spain and Germany the chance to win a fantastic trip to attend the Nickelodeon Kids' Choice Awards 2015 in LA in March 2015! As part of the competition, one grand prize winner will receive a holiday for him/herself and 3 guests to Los Angeles (the Grand Prize). The prize will include entry for four to the 2015 Kids' Choice Awards 2015 and four nights' accommodation at a 4 star hotel located in LA! Plus, 25 runners-up will win a pair of Heelys shoes! To enter, simply visit the official Heelys website, heelys.eu.com, and tell Nickelodeon and Heelys in 50 words of less, which Heelys would YOU wear on Nickelodeon's famous Orange Carpet, and why? The most creative and original entry will win the trip of a lifeslime, with 25 more of the most creative and original entries winning a pair of fantastic Heelys shoes! Nickelodeon and Heelys KCA 2015 contest is open to residents of UK, France, Spain and Germany aged between 6 and 16 years old. The competition will close on Sunday 15th February 2015. Follow NickALive! on Twitter, Tumblr, Google+, via RSS, on Instagram, and/or Facebook for all the latest Nickelodeon and Kids' Choice Awards 2015 News and Highlights! The Orlando Sentinel is reporting the exciting news that, as part of Nickelodeon's ongoing commitment to encourage young people to take positive action in their communities, Nick USA has announced fifteen-year-old Sarah Dewitz of east Orange County, Florida, as their January 2015 "HALO Effect" award recipient for her work to improve literacy rates among kids! Congratulations Sarah!! Nickelodeon's "HALO Effect" is a year-round initiative that recognizes one deserving teen every month for their work to help and lead others (HALO) in their community. The initiative was first announced by Nick Cannon, creator, host and executive producer of the annual "HALO Awards", during the live broadcast in November 2013. Nickelodeon's recognition brings Sarah an on-air profile on TeenNick throughout January, an interview on TeenNick.com, and a $5,000 check for her growing nonprofit organization! Sarah is the founder of Just 1 Book, which began when she was still a Cypress Springs Elementary fourth-grader. An avid reader, she was moved by a newspaper story about poverty among children in not-so-distant neighborhoods. She figured, rightly, that if their families struggled to afford food and rent, they probably couldn't afford to buy books for their kids, either. She set out to collect "just one book", new or used, from every student at her school to donate to the children in need. Instead, as word of her effort spread, her initial goal of 763 books brought in more than 13,000! At last count, the tally has surpassed half a million. 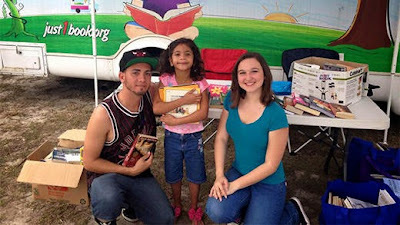 The books have been distributed to low-income neighborhoods throughout Central Florida, and, thanks to a partnership with the Kiwanis Club, Just 1 book is expanding to New Jersey, North Carolina and Virginia as well. Sarah also helped to launch a local bookmobile program in 2014. "I would like for Just 1 Book to reach nationwide status," Sarah told TeenNick.com. "It is impossible to know how long this will take, but it is my hope and faith that this goal will be achieved." For more information about Just 1 Book, please visit the organizations official website, Just1Book.org. If you know a deserving young person you'd like to nominate for a Nickelodeon "HALO Effect" Award, please see teennick.com/shows/halo-effect for more information. Follow NickALive! on Twitter, Tumblr, Google+, via RSS, on Instagram, and/or Facebook for the latest Nickelodeon and TeenNick HALO Effect News and Highlights! All week "Every Witch Way" fans have been voting in Nickelodeon's epic live fan poll on nick.com and on Twitter for who they wanted Emma Alonso (Paola Andino) to date - Daniel Miller (Nick Merico) or Jax Novoa (Rahart Adams) in the spellbinding season three finale of "Every Witch Way"! The results are in, and during the premiere of the season three finale episode of "Every Witch Way" on Nickelodeon USA last night (1/30), Nick revealed that fans voted for Emma to pick Jax as her new boyfriend!! Following the announcement, Nickelodeon USA unveiled a exclusive "What If" video clip featuring the alternative ending of "Every Witch Way" season three, showing how would things would have turned out if Emma had picked Daniel instead, which NickHeads located in the USA can watch here on nick.com! Fans can also watch the voted for ending of "Every Witch Way" season three, in which Emma picks Jax, and vote for whether they think Emma has made the right choice in Nick's all-new fan poll! Nickelodeon Poland (Polska) has announced the exciting Nickelodeon International news in the following press release, from Nick Polska's online press office, that Nickelodeon Poland will start to premiere and show the brand-new Nickelodeon original comedy series "Henry Danger", locally titled "Straszny Henry", and "Max & Shred" on Sunday 1st February 2015 at 6:30pm and 8:15pm, respectively, as part of Nick Polska's brand-new programming block, "Wszystko nowe, Wszystko Nickowe"! Following the debut of each new Nick sitcom, Nick Poland will continue to air all-new episodes of "Henry Danger" and "Max & Shred" every Sunday at 6:30pm and 8:15pm, respectively. Nickelodeon Poland has also announced in the same press release, below, that the Polish version of the world's number one children's channel debuted Nickelodeon's brand-new hit fantasy television series "Every Witch Way" ("Czarownica Emma"), plus premiered all-new episodes of "Kung Fu Panda" and "Oggy and the Cockroaches" ("Oggy i Karaluchy") in January 2015! Additionally, Nick Jr. Poland (Polska) also premiered the brand-new animated preschool series "Wanda and the Alien" ("Wanda i Zielony Ludek"), "Zack & Quack" ("Zack i Kwak") and "Tickety Toc" in January 2015. Początek roku obfitować będzie w wiele nowości i niespodzianek. Już z początkiem stycznia na kanale Nickelodeon pojawi się nowy serial Czarownica Emma, opowiadający o przygodach czternastoletniej czarownicy. Kolejną nowością będzie Straszny Henry, historia niezwykłego chłopca, którego czeka nie lada wyzwanie – musi uratować świat. Z kolei w Nick Jr. nowy serial Wanda i Zielony Ludek. Zobaczymy także nowe, nieemitowane dotąd odcinki Zack & Kwak oraz Tickety Toc. Na wszystkich małych widzów czeka duża dawka wspanialej zabawy! z wzajemnością oraz Maddie, najpopularniejszą dziewczynę w szkole, swoją przyszłą rywalkę. Niespodziewanie Emma dowiaduje się także, że posiada nadprzyrodzone moce – potrafi czarować. Czarownica Emma to nowy serial, gdzie obecna na każdym kroku magia, przeplata się z historiami miłosnymi oraz rywalizacją dwóch nastolatek. a ponieważ nie raz zdarza mu się wpaść w tarapaty, utrzymanie podwójnego życia w tajemnicy będzie nie lada wyzwaniem. Już z początkiem stycznia kontynuacja trzeciego sezonu Kung Fu Pandy. Serial opowiada o przygodach nieco niezdarnego, ale pełnego optymizmu mistrza kung fu aka Smoczego Wojownika, Po. Po, wielbiciel wszelkich smakołyków, wraz z Mistrzem Shifu oraz przyjaciółmi, zwanymi Potężną Piątką: Tygrysicą, Żurawiem, Modliszką, Żmiją i Małpą, mieszka w świątyni, na co dzień doskonaląc swoją znajomość kung fu oraz chroniąc mieszkańców wioski przed codziennymi niebezpieczeństwami. Oggy i Karaluchy to serial animowany przedstawiający zmagania Oggiego z zamieszkującymi jego dom na przedmieściach karaluchami. Nieproszeni lokatorzy płatają figle nie tylko Oggiemu, ale także jego przyjacielowi Jackowi, mieszkającemu po sąsiedzku kotu. Kolejną zmorą Oggiego jest pewien mściwy sąsiad, o imieniu Bob… W styczniu dla wszystkich fanów Oggiego – kontynuacja trzeciego sezony wraz z premierowymi odcinkami. Główna bohaterka, Wanda to bardzo praktyczny i zapobiegawczy króliczek. Dzielnie opiekuje się swoimi młodszymi siostrami i braćmi. Mieszka wraz z swoja rodziną w norce pod wielkim drzewem. Pewnego dnia w pobliżu jej domu rozbija się statek kosmiczny z małym zielonym ufoludkiem na pokładzie. Wanda zielony Ludek szybko zostają przyjaciółmi i razem przeżywają wspaniałe przygody. i pojawiają się nowe atrakcje. Jest to miejsce gdzie wciąż zdarzają się niesamowite niespodzianki. Na początku każdego odcinka książka otwiera się i składany domek na drzewie magicznie opada na środek ogródka. Przyjaciele wykorzystują go na wiele sposobów – jako pokój do zabaw, pracownię artystyczną, improwizowaną kuchnię, czy jako udawany zamek z fosą. Tam zaczynają się wszystkie ich magiczne przygody. z czasem. Każdy odcinek przedstawia przygody dwójki rodzeństwa, których głównym celem jest podtrzymanie pracy swoich zegarków. Perypetie ekranowych bliźniąt pozwalają odbiorcom na zrozumienie pojęcia czasu. Follow NickALive! on Twitter, Tumblr, Google+, via RSS, on Instagram, and/or Facebook for the latest Nickelodeon Poland News and Highlights! [...] in the summer of 2015, [Nickelodeon] will begin airing new episodes of SpongeBob on TV. Nickelodeon Movies and Paramount Animation will release "The SpongeBob Movie: Sponge Out of Water" in Digital 3D and 2D in cinemas across the UK on Friday 20th March 2015! Coming up the [Mega Tentpole] Kids Choice Awards will air in March followed by the Second Annual Kids Choice Sports Awards this summer. "Kids' Choice Sports 2014" saw a line-up of sports superstars including Dwyane Wade, Tim Howard, Serena Williams, Kevin Durant, Gabby Douglas, Victor Cruz, Carmelo Anthony and more taking home orange mohawked blimps. Hosted by Michael Strahan ("LIVE with Kelly and Michael", "Fox NFL Sunday"), the awards were broadcast live from UCLA's Pauley Pavilion in Los Angeles on Thursday 17th July 2014 in a event where kids honored their favorite athletes, teams and sports moments from the year in one big, slimy sports celebration. 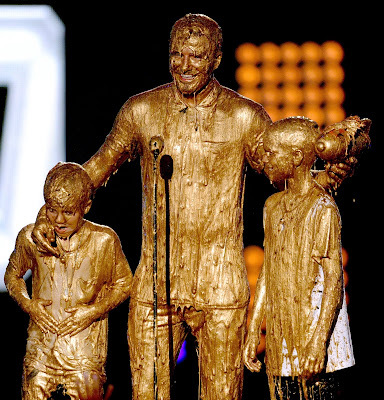 "Kids' Choice Sports 2014" also saw world-renowned athlete David Beckham bring presented with the first ever "Kids' Choice Sports" Legend Award, a gold mohawked blimp, for his incredible talent and outstanding sportsmanship on the field. Adding to his list of accomplishments, Beckham also received the first-ever gold sliming in "Kids' Choice" history with his sons Romeo and Cruz. Follow NickALive! on Twitter, Tumblr, Google+, via RSS, on Instagram, and/or Facebook for the latest Nickelodeon and Kids' Choice Sports 2015 News! Philippe Dauman, the President and Chief Executive Officer (CEO) of Viacom Inc, announced the very exciting Nickelodeon news during a conference call with analysts on Thursday 29th January 2015 to discuss the company's 1Q15 earnings report, that Nickelodeon Productions and Paramount Television are also close to completing their brand-new live-action, musical-comedy series "School of Rock", based on the 2003 hit movie of the same name from Paramount Pictures, with Nickelodeon USA planning to debut the show between July and September 2015! Nickelodeon and Paramount are also close to completing Paramount's first television production this year with School of Rock, which is set to air on Nickelodeon in the fiscal fourth quarter. "School of Rock" is a brand-new live-action series which follows a group of unconventional prep schoolers who are taught the joy of rock 'n' roll by Dewey Finn (Tony Cavalero, "Splitting Adam"), a down-on-his-luck rocker who poses as a substitute teacher at their school. "School of Rock" is written by Jim and Steve Armogida ("Crash & Bernstein", "My Family"), who will also serve as executive producers and show runners. The movie's director Richard Linklater and producer Scott Rudin will executive produce the television series. Nickelodeon ordered 13 episodes of "School of Rock" in August 2014. Paramount's original "School of Rock" movie starred Nickelodeon star Miranda Cosgrove ("Drake & Josh", "iCarly") in one of her first acting roles, in which she portrayed the character Summer Hathaway. Additionally, Philippe Dauman also announced in the same conference call that Nickelodeon USA is planning to air more than 150 new episodes and specials in the second quarter (January to March 2015), with a focus on adapting to the networks' viewers changing tastes! Follow NickALive! on Twitter, Tumblr, Google+, via RSS, on Instagram, and/or Facebook for the latest Nickelodeon and School of Rock News! In the quarter the sneak preview TV movie of Nickelodeon's new series A Hundred Things to do Before High School, ranked number one in its time period across all television and drove double-digit gains with key demos. This gives us great confidence when the series kicks off with new episodes in April. "100 Things To Do Before High School" is a brand-new live-action creator-driven comedy-focused series from "Big Time Rush" creator and executive producer Scott Fellows. The half-hour, single-camera series follows three best friends as they navigate the highs and lows of middle school, with the help of a bucket list of adventures that help them overcome class cliques, terrifying bullies and clueless teachers. Isabela Moner (CJ Parker), Jaheem Toombs (Fenwick) and Owen Joyner (Crispo) in "100 Things To Do Before High School". "100 Things To Do Before High School" will join Nick's robust, live-action slate that features recently premiered series "Henry Danger", which follows a 13-year-old boy who lands a part-time job as the sidekick-in-training to a superhero; "Nicky, Ricky, Dicky & Dawn", centering on the Harper quadruplets who have only two things in common - their parents and their birthday; and upcoming comedy series "Bella and the Bulldogs" which follows a perky head cheerleader whose life in Texas takes an unexpected twist when she becomes the new quarterback for her school team. Nickelodeon placed a 26-episode order for "100 Things To Do Before High School" in July 2014 following the filming of the shows successful pilot in March 2014. Following Nickelodeon and Saban's special "Power Rangers" Twitter challenge yesterday, which asked fans to Retweet a Tweet Tweeted on the "Power Rangers" Twitter profile page, @PowerRangers, 100 times by last night, and to celebrate Nickelodeon USA starting to premiere and show "Power Rangers Dino Charge", the upcoming 22nd season of Saban's popular "Power Rangers" franchise, from Saturday 7th February 2015 at 12:00pm ET/PT, 11:00am C, Nickelodeon USA has released the very first episode of "Power Rangers Dino Charge" on the networks official PRDC website, which fans can watch in full for free here at nick.com/dinocharge, just over a week before the episode premieres on TV! A long time ago, ten dinosaurs were each entrusted with magical Energems rumored to hold invincible power over the entire universe. Now that the dinosaurs are extinct, an evil alien named Sledge is determined to find all the missing Energems and take control of space and time. There’s just one thing standing in his way... The Power Rangers Dino Charge! 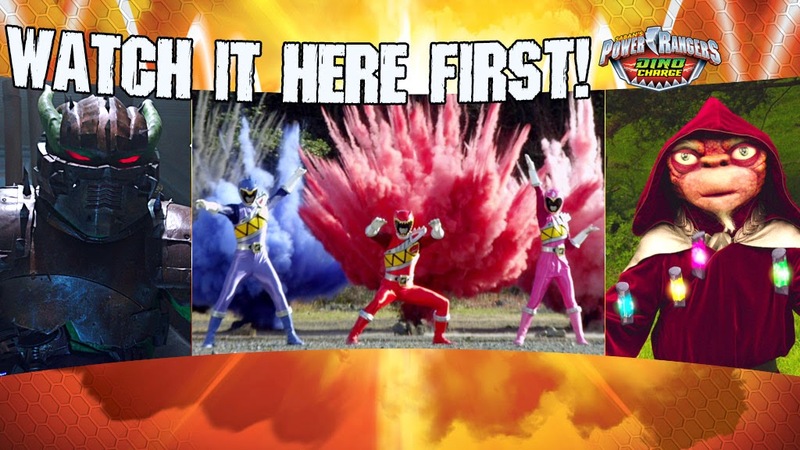 Harnessing the power of pre-historic dinosaur spirits, the Dino Charge Rangers are ready to defend Earth at all costs. From a 100,000 year old caveman to a thrill seeking skateboarder, the Dino Charge Rangers may seem like an eclectic bunch, but their unmatched strength and incredible intelligence make for some epic teamwork. With all new Dino Zords, morphers and weapons, Earth’s newest defenders are ready to protect the Energems, save the Earth and defeat the evil Sledge and his monsters once and for all.. But will their combined power be enough to take down this intergalactic bounty hunter and his menacing team of monsters? Dino Charge Ready! Catch the all-new season of "Power Rangers", "Power Rangers Dino Charge", from Saturday 7th February 2015 at 12:00pm ET/PT, 11:00am C, only on Nick USA! Cartoonist C.H. Greenblatt has announced in a reply to a fans question on his official Tumblr blog, Nerd Armada, the voice cast of his upcoming brand-new Nickelodeon animated series "Harvey Beaks"! 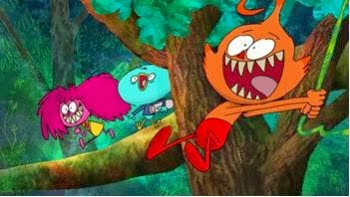 Harvey, Fee and Foo in "Harvey Beaks"
and Foo is voiced by Jackson Brundage ("See Dad Run", "You Gotta See This") & later Tom Robinson ("R.L. Stine's The Haunting Hour", "Tomorrowland"). Additionally, Miriam is voiced by Kerri Kenney-Silver ("Kim Possible", "Adventure Time") and Irving is voiced by Scott Adsit ("30 Rock", "Big Hero 6", "Bad News Bears"). C.H. Greenblatt also promises that there'll be more fun voices on the show, which he'll announce at a later date! "Harvey Beaks", formally titled "Bad Seeds", follows Harvey, a sweet and well-meaning bird, who makes two new best friends, Fee and Foo, the wildest imps in the forest. Although their friendship seems unlikely, their connection only grows as they push each other out of their comfort zones and into endless adventures. The show is created, written and directed by C.H. Greenblatt ("SpongeBob SquarePants", "Chowder"). Nickelodeon picked up the series for 26 episodes in September 2013. Bella Dawson has just found out from her friends that her longtime crush Kyle (Kalama Epstein) might sorta, kinda, actually like her back! But will her football team's superstitions ruin her chances with him? Find out on a new "Bella and The Bulldogs" this Saturday at 9pm/8c, only on Nick! Henry's (Jace Norman) on the coolest game show ever - "Spin and Win"! But there’s something weird about those kids working the cameras, and why do they want to hypnotise Henry? Find out what happens on a new "Henry Danger" this Saturday at 8pm/7c! Don't forget, Nickelodeon UK and Ireland and Nickelodeon HD UK will start to premiere and show Nick's all-new crime-fighting comedy series "Henry Danger" in February 2015, beginning with the hour-long special "The Danger Begins" on Friday 13th February 2015 at 5:00pm (repeated at 6:00pm on Nickelodeon +1)! Dawn (Lizzy Greene) had a secret until one of her brothers breaks their quad circle of trust and tells the entire school! Will she discover who exposed her secret or skip straight to the revenge part with a text blast? Find out on a new "Nicky, Ricky, Dicky & Dawn" this Saturday at 8:30pm/7:30c! Plus, catch the next brand-new episode of "Bella and the Bulldogs", "Pretty In Stink", tonight straight after NRDD at 9:00pm ET/PT, only on Nick USA! 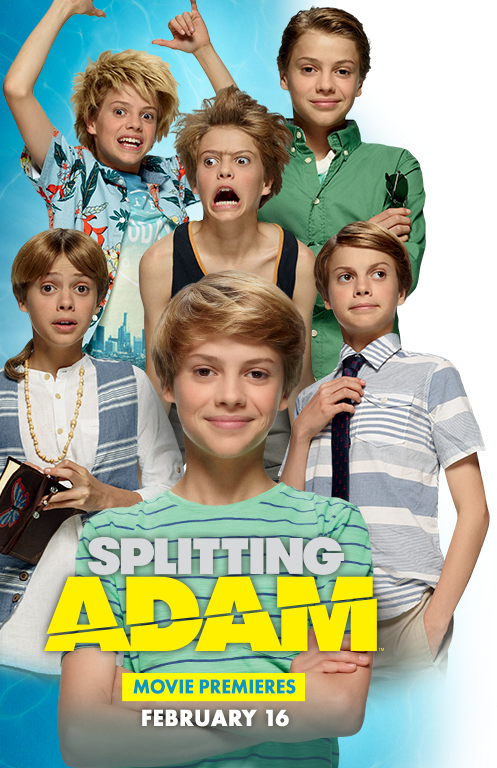 In Nick's all-new film, "Splitting Adam", Adam Baker (Jace Norman, "Henry Danger") is the busiest 15-year-old you'll ever meet! Between juggling multiple jobs, babysitting his sister, and helping his uncle perfect his magic act, his summer schedule is jam-packed. And that leaves little room for flirting with his dream girl, Lori (Isabela Moner, "100 Things To Do Before High School"). But after accidentally stumbling into his uncle's mysterious "tanning bed", Adam learns the answer to all of his problems – multiple Adams! With his new collection of clones, Adam is hopping on one wild ride with an epic splash! "Splitting Adam" also stars Jack Griffo ("The Thundermans") as Vance Hansum, Amarr M. Wooten ("Instant Mom", "Step Up 2: The Streets") as Sheldon, Seth Isaac Johnson as Danny, Tate Chapman and Abby Chapman ("React to That", "Liv and Maddie") as Gillian, Chris Gauthier as Mr. Mattis, Caroline Cave as Mrs. Baker, Katia Peel as the voice of a little girl, Dani Dare as the voice of a little boy, and Brayden Snow as a dancing party kid, plus Tony Cavalero from the upcoming Nickelodeon show "School of Rock" as Magic Mitch! 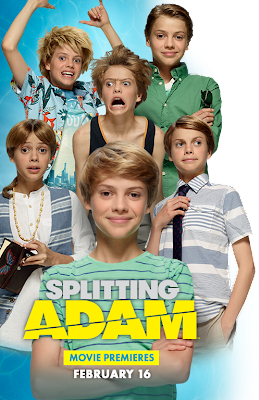 "Splitting Adam", formally known as "Copy-Kid", is a movie directed by Scott McAboy, written by John E. Deaver, William S. Walker and produced by Pacific Bay Entertainment. Nickelodeon and Pacific Bay Entertainment filmed some of the "Splash 'n Crash" scenes of "Splitting Adam" at Cultus Lake Waterpark, located in British Columbia in Canada. NickHeads can find out more information about Nickelodeon's brand-new original TV movie here at nick.com/splitting-adam! Follow NickALive! on Twitter, Tumblr, Google+, via RSS, on Instagram, and/or Facebook for the latest Nickelodeon and Splitting Adam News and Highlights! 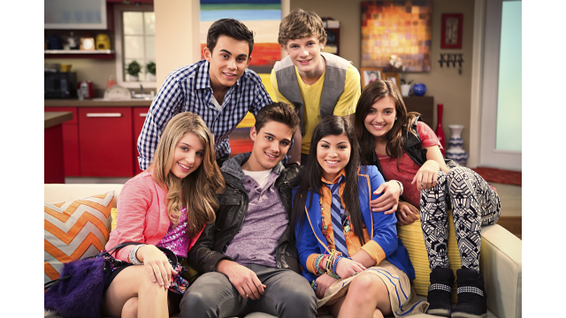 Nickelodeon USA Unveils Sneak-Peek From "Every Witch Way" Season Three Finale! Nickelodeon USA has unveiled a spellbinding sneak-peek from the epic season three finale episode of the networks hit fantasy television series "Every Witch Way"! Zombies and no magic? What's happening in this sneak peek clip from Every Witch Way's season 3 finale??? NickHeads in the USA can watch a extended version of Nickelodeon's "Every Witch Way" season three finale sneak-peek here on nick.com! Don't forget to keep voting in Nickelodeon's epic live fan poll for who you think Emma should choose to date - Daniel Miller (Nick Merico) or Jax Novoa (Rahart Adams)! The power is in YOUR hands! Head to nick.com/witch now and vote for "Team Daniel" or "Team Jax"! Fans can also vote for who you think Emma should end up with on Twitter using the special custom hashtags #TeamDaniel or #TeamJax! Tune into the magical "Every Witch Way" season three finale on Friday 30th January 2015, only on Nickelodeon USA! Also check out nick.com/witch or the Nick App to watch the latest episodes! Viacom Inc. (NASDAQ: VIAB, VIA), the parent company of the Nickelodeon brand, has today, Thursday 29th January 2015, reported financial results for the quarter ending Wednesday 31st December 2014, including higher revenues in its Media Networks and Filmed Entertainment segments, helped by the successful launch of Nickelodeon Movies and Paramount Pictures' "Teenage Mutant Ninja Turtles" movie franchise, and record adjusted diluted earnings per share. Sumner M. Redstone, Executive Chairman of Viacom, said, "Viacom's powerful entertainment brands continue to lead the way in reaching global audiences with groundbreaking content. Our outstanding management team has positioned Viacom for continued success." Philippe Dauman, President and Chief Executive Officer of Viacom, said, "Viacom's focus on developing popular franchise properties and constantly expanding our growing international presence drove solid top line results and record earnings per share this quarter. We continued to deliver increased revenues in our media networks operations driven by steady growth in affiliate revenues, and also benefited from Paramount Pictures' Oscar-nominated Interstellar and our very successful company-wide franchise, Teenage Mutant Ninja Turtles. "The media business is evolving faster than ever, but our mission remains unchanged: to continually develop more and better entertainment programming and deliver it to our engaged audiences on every screen and on every platform worldwide. To maintain our leadership position, we will continue to innovate and to manage our business as effectively and efficiently as possible, embracing change and adopting new technologies to better measure and monetize our content and meet industry-wide challenges. Viacom is financially strong and extremely well positioned for the future, with the talent and the creativity to grow our core business and continue to deliver increasing value to our investors." Quarterly revenues rose 5% to $3.34 billion, driven by increases across the business. Media Networks revenues increased 4% to $2.65 billion, due to higher affiliate fees and advertising revenues. Domestic affiliate revenues rose 8% and worldwide affiliate revenues grew 6%, primarily due to rate increases. Domestic advertising revenues declined 6%, reflecting lower ratings. Worldwide advertising revenues rose 3%, reflecting a 60% increase in international advertising revenues driven by contributions from Channel 5, which was acquired in September 2014. The 4% increase in Media Networks revenues includes an unfavorable 1% impact of foreign exchange. Filmed Entertainment revenues grew 6% to $720 million. Released theatrically in the fiscal fourth quarter of 2014, Teenage Mutant Ninja Turtles remained a strong performer in the current quarter, complementing the current quarter releases and helping to drive a 6% increase in theatrical revenues and a 16% gain in home entertainment revenues. Home entertainment revenues reflect two film releases in the current quarter, compared with none in the same prior year period. License fees declined 9% resulting from the mix of available titles. Quarterly adjusted operating income of $959 million was flat versus the prior year. Media Networks adjusted operating income declined 1% due to higher programming expenses partially offset by revenue gains. Excluding the impact of foreign exchange, Media Networks adjusted operating income was flat for the quarter. Filmed Entertainment generated an adjusted operating loss of $60 million, an improvement of 19%, as higher revenues more than offset increases in film and distribution expenses. Quarterly adjusted net earnings attributable to Viacom declined 2%, principally due to the 4% negative impact of foreign currency exchange rates, as well as higher interest costs. Adjusted diluted earnings per share for the quarter increased 8% to $1.29, a record for the fiscal quarter ended December 31. Foreign exchange had an unfavorable $0.05 impact on adjusted diluted EPS. For the quarter ended December 31, 2014, Viacom repurchased 10.2 million shares under its stock repurchase program, for an aggregate purchase price of $750 million. As of January 28, 2015, Viacom had $5.62 billion remaining in its $20 billion stock repurchase program. As of December 31, 2014, Viacom had 407 million shares of common stock outstanding. At December 31, 2014, total debt outstanding, including capital lease obligations, was $13.76 billion, compared with $12.77 billion at September 30, 2014. In the quarter, the Company issued $1.0 billion of debt, a portion of which it intends to utilize for the repayment of $600 million aggregate principal amount of the Company's senior notes due February 2015. The Company's cash balances were $1.2 billion at December 31, 2014, an increase from $1.0 billion at September 30, 2014. You can read Viacom's press release announcing the company's quarterly earnings in full, including tables of Viacom's statements and balance sheets, here on BusinessWire.com. Viacom recently announced that it has extended the employment agreement of President and Chief Executive Officer Philippe Dauman through December 31, 2018. The extension adds two years to Dauman's previous contract, which ran through December 31, 2016. Viacom International Media Networks (VIMN) UK and Ireland, home to Nickelodeon, MTV, Comedy Central and Channel 5, is preparing to call a review of its £2 million media planning and buying services, after parting company with Omnicom's PHD. Google Inc and Viacom Inc have won the dismissal of a nationwide privacy lawsuit accusing them of illegally tracking the Internet activity of boys and girls who visited Nickelodeon's website, in order to send targeted advertising. The lawsuit claimed that Viacom secretly kept track of children under the age of 13 who streamed videos and played video games on the networks official website, nick.com, and shared what it learned with Google. It said both companies then without permission put text files known "cookies" into the children's computers, letting them gather additional information that advertisers could use. The lawsuit was brought on behalf of young children who registered to use Nick.com. But in a Jan. 20 decision, U.S. District Judge Stanley Chesler in Newark, New Jersey found no showing that Google and Viacom could identify which children streamed specific videos or played specific video games, as opposed to identifying children generally. He also found no showing that the companies engaged in "highly offensive" behavior for which they could be held liable. "Children do indeed warrant special attention and heightened protections under our laws and social norms," Chesler wrote. "Although plaintiffs have identified conduct that may be worthy of further legislative and executive attention, they have not cited any existing and applicable legal authority" to support their claims, he added. The plaintiffs had accused Viacom of violating the federal Video Privacy Protection Act, and both companies of violating a New Jersey anti-computer hacking law. Viacom is facing renewed calls on Wall Street to reunite with its former sibling CBS ahead of a high-stakes battle with Charlie Ergen's Dish over programming fees. The Internet is about to get slimed! Nickelodeon, the number-one entertainment brand for kids and families, will soon be offered online without the need for a cable subscription, Viacom President and Chief Executive Officer (CEO) Philippe Dauman announced during a conference call with analysts on Thursday 29th January 2015 to discuss the company's fourth-quarter earnings report. Nickelodeon is part of a growing trend of networks -- cable and broadcast -- offering digital services along with traditional TV. Dauman said "We believe this innovative service, which will have a distinct brand and will target the fast-growing mobile market, will be very attractive for parents and children." The move makes Nickelodeon among the first pure cable channels to move into the "over-the-top" (OTT) space, in which content is streamed online for a subscription fee outside of top streaming players like Netflix, Amazon or Hulu. Premium channels like HBO and Showtime are already working on similar services, with the former announcing that it would begin selling subscriptions via the Internet sometime in 2015, and CBS also offers a streaming service. Companies like ESPN, TNT and TBS are currently available through Dish Network's Sling service, but not as standalone options. These offerings make it easier for households to drop their traditional pay-TV service and piece together their own package of video services. The new direct-to-consumer subscription service will be introduced in March 2015, Dauman said, adding that the name of the service will also be announced then. He said more information will be released when Nickelodeon makes presentations to advertisers in February/March 2015 during Nickelodeon Upfront 2015, where Nickelodeon will also preview the networks 2015-2016 programming slate. "They would not want me to take away their thunder." During Viacom's fourth-quarter earnings report conference call, Dauman touted how the company has been leading on the TV Everywhere front and how the company's children-friendly fare in particular have been doing well on digital channels. He said the Nick Jr. app has topped iTunes charts since launching last year. The new service will be "geared to young viewers, quite young viewers, and their parents will very much welcome the availability of this premium subscription service," Dauman told investors. He also hints that cable and satellite distributors won't mind: Viacom is "working with our distributors very closely." But it is "premised on people spending more and more time consuming entertainment, and we're going to be a big part of their lives wherever they are viewing the content." The service will not be branded as "Nickelodeon", the company said, but will target young viewers with its own unique brand. The company didn't detail what content the service would include, how much it will cost, and whether the new service will include advertising. "We want to satisfy the demand that is coming from the viewers out there," he said, noting also that the service would be aimed at consumers who use mobile devices. "They want more programming. They have an insatiable appetite for great content. They want to view that content on every device that they own." "We are seeing good demand," Dauman said. "There is no better way to reach engaged audiences for toys, for movies, for electronics, for financial services aimed at young people, there’s no better way to reach them than on our network." Sources: Mashable, CNN Money, AP via Yahoo! News, Deadline, THR, TechCrunch, International Business Times, New York Post, Reuters via Yahoo! Celebrity. .@NickStarsTV: . @eightyfourfilms @PunksGitCut Is the network planning on bringing the show back from its hiatus in February like last year? 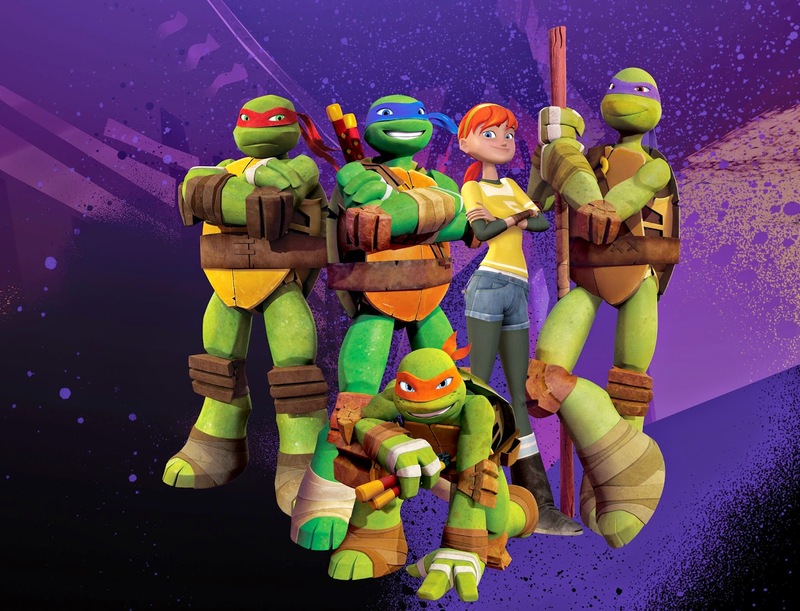 Below is a round-up of some of the awards that Nickelodeon, the number-one entertainment brand for kids and families, has recently been nominated for and some of the awards that they have won! Nickelodeon Preschool's hit CG-animated series "Wallykazam!" and "Peter Rabbit" have been nominated for two awards in Kidscreen's "Kidscreen Awards 2015"! "Wallykazam!" has been nominated for the "Best New Series" award, and "Peter Rabbit" and "Dinosaur Train", a popular CG-animated series created by Craig Bartlett ("Hey Arnold!") and produced by The Jim Henson Company and Sparky Animation which airs on Nick Jr. UK and Nick Jr. Australia and New Zealand, have been nominated for the "Best Animated Series" award in the "Preschool" section of the Programming Categories of the 2015 Kidscreen Awards! Additionally, season three (series three) of "Dance Academy", a Australian teen-oriented dance-themed television drama series which airs on Nickelodeon UK and Ireland and TeenNick USA, has been nominated for the "Best Non-Animated or Mixed Series" award in the Tweens/Teens portion of the Programming Categories of the Kidscreen Awards 2015! In the "Preschool (0 to 5)" categories of the "iKids Awards 2015", Nick Jr. UK's popular smartphone learning app "Nick Jr. Leap" has been nominated for the Best Learning App (Smartphone)" award, the official website for "Peppa Pig", a mega popular animated preschool series which airs on Nick Jr. UK and Nick Jr. USA, has been nominated for the "Best Website" award, and the tablet version of Nickelodeon's hit "Dora and Friends" app has been nominated for the "Best Game App (Tablet)" award! Jim Henson's "Doozers", a CG-animated series featuring the Doozers of "Fraggle Rock" which airs on Nick Jr. Australia and New Zealand, has also been nominated for the "Best Web/App Series" award in the "Preschool (0 to 5)" categories of the 2015 "iKids Awards"! Additionally, in the "Kids (6 and up)" categories of the "iKids Awards 2015", the tablet version of Nickelodeon and Lima Sky's hit "Doodle Jump" game app, "Doodle Jump SpongeBob SquarePants", has been nominated for the "Best Game App (Tablet)" award! In the "26th Annual GLAAD Media Awards", celebrating and recognizing "media for their fair, accurate and inclusive representations of the LGBT community and the issues that affect their lives," the "Nick News With Linda Ellerbee" special "Coming Out", which aired on Nickelodeon USA in October 2014, has been nominated for the "Outstanding TV Journalism - Newsmagazine" award! In the Motion Picture Sound Editors' 62nd "MPSE Golden Reel Awards", the "Teenage Mutant Ninja Turtles" episode of Nickelodeon's hit CG-animated series "In Dreams" (Nickelodeon Animation Studios Inc.) has been nominated for the "TV Animation - Effects / Foley / Dialogue / ADR" award! The credits for "In Dreams" are: PRODUCED BY: Ciro Nieli, Brandon Auman, Peter Hastings, Macgregor Middleton; DIRECTED BY: Sebastian Montes; SUPERVISING SOUND EDITOR: Jeff Shiffman; SUPERVISING FOLEY EDITOR: Roger Pallan; SUPERVISING DIALOGUE / ADR EDITOR: Anna Adams; FOLEY ARTISTS: Roger Pallan, Alex Ullrich, MPSE; SOUND EFFECTS EDITORS: Gerardo Gonzalez, Matt Hall; and SUPERVISING MUSIC EDITOR: Sebastian Evans II. At the "London Toy Industry Awards 2015", Flair Leisure Products' "Teenage Mutant Ninja Turtles" Movie Figures won the "Action Figure Range of the Year" award in the Toy and Supplier of the Year category of the awards! At the 2015 "Toy Fair Best New Toy Awards", Spin Master Toys UK's "Paw Patrol" Basic Vehicles range took home the "Pre-school Characters" award! 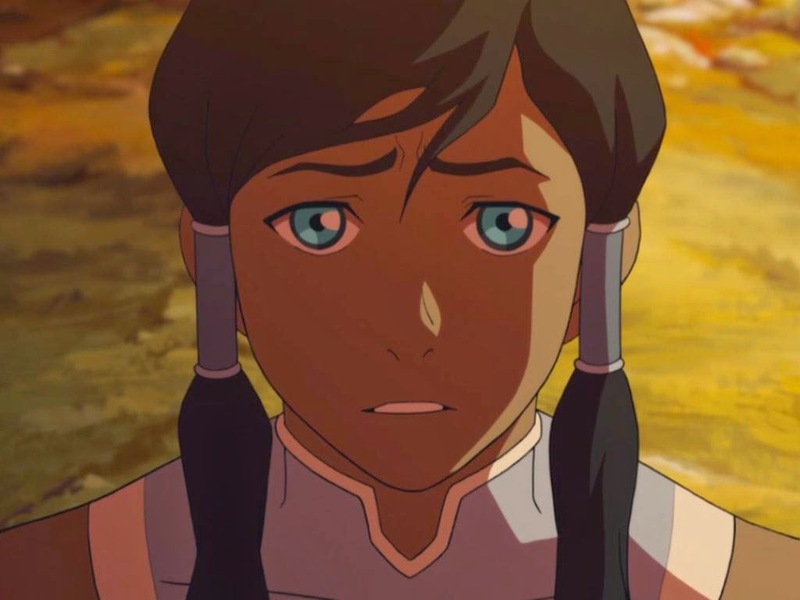 In IGN's "Best Of 2014 Awards", Nickelodeon's hit animatd series "Legend of Korra" won the "IGN Official Best TV Animated Series" award, the "People's Choice: Best TV Series" award, the "People's Choice: Best TV Episode" award for the episode "Korra Alone", and the "People's Choice: Best Animated Series" award! Nickelodeon has also won a slew of awards at the "2015 Parents' Choice Television Awards"! Nickelodeon's "Peter Rabbit" and Nick Jr. Australia and New Zealand's "Doozers" each won a "Parents' Choice Gold Awards" award. Nickelodeon's "Team Umizoomi" and "Wallykazam!" and Nick Jr.'s (UK & Ireland and Australia & New Zealand) "Dinosaur Train" took a "Parents' Choice Silver Honors" each. The "2014 HALO Awards 2014 HALO Awards", the "2014 Kids Choice Sports Awards", "Bubble Guppies", "Dora and Friends: Into The City" and "Degrassi", along with Nick Jr. UK & Ireland's "Poppy Cat" and "Lily's Driftwood Bay", each won a "Parents' Choice Recommended Seal" award. Nickelodeon's brand-new CG-animated preschool series "Blaze and The Monster Machines" won a "Parents' Choice Approved Seals" award. "100 Things to do Before High School", "Henry Danger", "Fairly OddParents", "Teenage Mutant Ninja Turtles" and "Paw Patrol" each won a "Parents' Choice FunStuff" award. Additionally, "Nick News with Linda Ellerbee" won the "Parents' Choice Classic Award"! Q:I love looking at your drawings. Is bad seeds premiering soon ? Thanks! Expect it (hopefully) in a few months. There should be lots of noise before it comes out so no one should miss it! "Harvey Beaks" follows Harvey, a sweet and well-meaning bird, who makes two new best friends, Fee and Foo, the wildest imps in the forest. Although their friendship seems unlikely, their connection only grows as they push each other out of their comfort zones and into endless adventures. The show is created, written and directed by C.H. Greenblatt ("SpongeBob SquarePants", "Chowder"). Nickelodeon picked up the series for 26 episodes in September 2013. 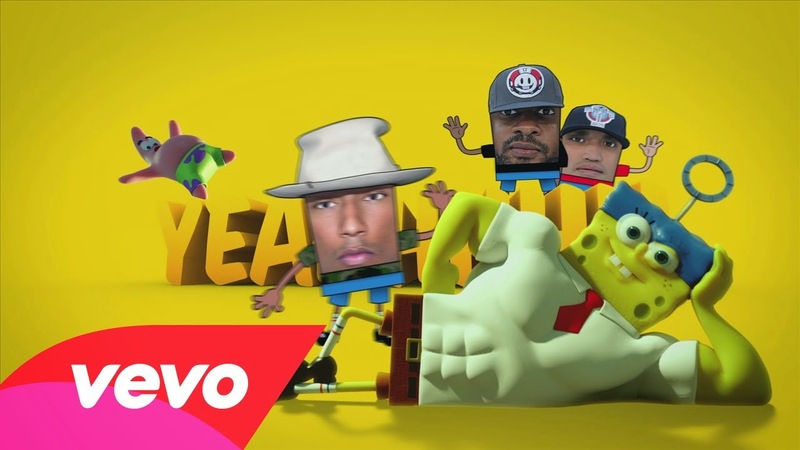 N.E.R.D Releases Music Video For "The SpongeBob Movie: Sponge Out of Water" Song "Squeeze Me"
The entertainment news website Digital Spy is reporting the exciting news that N.E.R.D have released their brand-new music video for their recently released song "Squeeze Me", which the band have recorded for the soundtrack for Nickelodeon Movies and Paramount Animation's upcoming "SpongeBob SquarePants" movie, "The SpongeBob Movie: Sponge Out of Water", online on VEVO! "Squeeze Me" was released worldwide in December 2014 and sees Pharrell Williams reunited with his bandmates Chad Hugo and Shay Haley. N.E.R.D have also recorded a further two new tracks for the upcoming film, each titled after popular characters Patrick Star and Sandy Squirrel from Nickelodeon's beloved animated series (Nicktoon) "SpongeBob SquarePants". The "SpongeBob Movie: Sponge Out of Water" tracks are the band's first new material in four years. To celebrate Nickelodeon Movies and Paramount Animation upcoming brand-new "SpongeBob SquarePants" movie, "The SpongeBob Movie: Sponge Out of Water", Nickelodeon and Paramount have unveiled their revamped official "Sponge Out of Water" website, SpongeBobMovie.com! Nickelodeon and Paramount's brand-new "The SpongeBob Movie: Sponge Out of Water" website features information about the new SpongeBob Nick Flick, exclusive videos, images and animated gifs featuring scenes from the all-new movie, absorbing downloads, including tic-tac-toe, mazes, connect the dots and spot the difference games and desktop wallpapers, plus links to download the movies' recently released game app, "SpongeBob: Sponge on the Run", Paramount's online box office, the movies' official Facebook, Twitter, Instagram and YouTube pages, and to purchase "Squeeze Me" by N.E.R.D from the films soundtrack! There is also a option to follow Nickelodeon and Paramount's official "Sponge Out of Water" website on Tumblr! 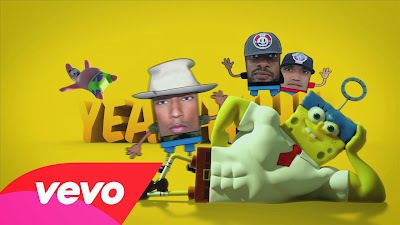 Additionally, the American rock, funk, and hip hop band N.E.R.D have today, Tuesday 27th January 2015, released two brand-new songs for the "The SpongeBob Movie: Sponge Out of Water" soundtrack! The tracks, by Pharrell Williams, Chad Hugo and Shay Haley, are the theme songs for the onscreen sidekicks of SpongeBob's two best friends, Patrick Star and Sandy Squirrel! Nickelodeon USA's official website has also unveiled a exclusive extended sneak-peek video from "The SpongeBob Movie: Sponge Out of Water", which NickHeads located in the USA can watch here on nick.com! Nickelodeon Netherlands To Premiere New Episodes Of "SpongeBob SquarePants" In February 2015; Declares Monday 2nd February 2015 "Yellow Monday"
Nickelodeon Netherlands (Nederland) has announced the exciting Nickelodeon International news in the following press release, from Nick Netherlands' online press office, that Nickelodeon Netherlands will be premiering and showing brand-new episodes of "SpongeBob SquarePants" every Monday to Friday at 5:15pm (17:15) from Monday 2nd February 2015! In one of the all-new episodes, "License to Milkshake", Mr. Krabs sends SpongeBob to Milkshake Academy. Then, in "Squid Baby", after receiving a head injury in a accident, Squidward starts to think that he's an infant, and SpongeBob and Patrick must look after him. To celebrate the debut of brand-new episodes of "SpongeBob SquarePants", Nickelodeon Netherlands has declared that Monday 2nd February 2015, the first Monday of February 2015, will be "Yellow Monday", a whole day dedicated to Nickelodeon megastar SpongeBob SquarePants! According to experts, Monday 19th January 2015 was "Blue Monday" - the most depressing day of the year. Now that "Blue Monday" is behind us, it's time for a day dedicated to happiness, and who better to represent happiness than SpongeBob SquarePants! The colour yellow is often associated with curiosity, intellect, happiness, freedom, and motivation - just some of the endearing attributes of the world's favourite optimist, SpongeBob SquarePants! 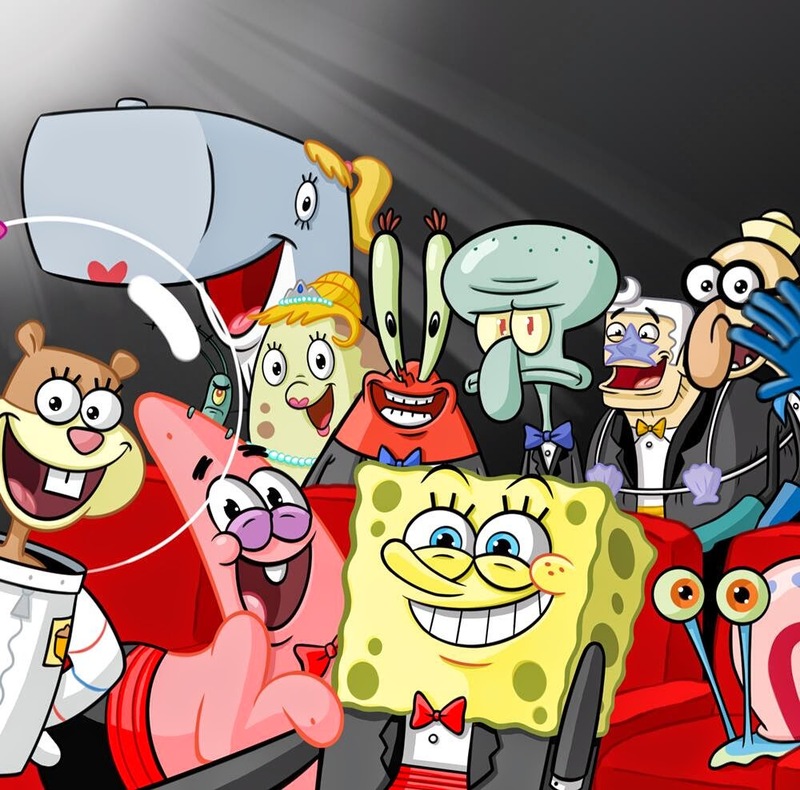 To further celebrate SpongeBob, Nick Netherlands will be hosting a special "SpongeBob SquarePants" weekend over Saturday 7th and Sunday 8th February 2015 which will feature all-day marathons from 11:30am each day! Fans are encouraged to join in with Nickelodeon's "Yellow Monday" by wearing something yellow, eating a pineapple, go Jellyfish fishing, and by watching a brand-new episode of "SpongeBob SquarePants" at 5:15pm, only on Nickelodeon! 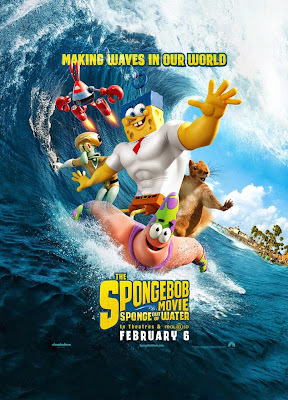 Additionally, Nickelodeon Movies and Paramount Pictures will release their brand-new "SpongeBob SquarePants" movie, "The SpongeBob Movie: Sponge Out of Water", locally titled "SPONGEBOB 3D SPONS OP HET DROGE", in cinemas across Holland and Belgium on Wednesday 28th January 2015! Plus, Nickelodeon Netherlands will start to fully premiere and show the brand-new Nickelodeon original comedy series "Henry Danger" from Sunday 1st February 2015 as part of "Alles nieuw, alles Nick"! Op 2 februari is het Yellow Monday: de dag van vrolijkheid! Om te vieren dat er op 2 februari nieuwe afleveringen starten van SpongeBob hebben we Yellow Monday in het leven geroepen: een dag die staat voor blijheid en optimisme. Op 19 januari was het Blue Monday, volgens experts de meest depressieve dag van het jaar. Nu we deze dag achter de rug hebben is het tijd voor een vrolijke dag. Daarom hebben wij 2 februari verkozen tot Yellow Monday. Deze dag staat in het teken van onze favoriete gele vriend, SpongeBob SquarePants. De kleur geel wordt vaak geassocieerd met nieuwsgierigheid, intellect, vrolijkheid, vrijheid, en motivatie. Laat dit nou net een omschrijving zijn van SpongeBob! Vanaf 2 februari zijn er om 17.15 elke schooldag nieuwe afleveringen van SpongeBob SquarePants te zien. In deze afleveringen gaat hij onder andere terug naar de milkshake-school en moet hij samen met Patrick voor Octo gaan zorgen wanneer deze per ongeluk weer een baby wordt. Enkele tips om deze Yellow Monday goed door te komen: trek iets geels aan, eet een ananas, ga kwallenvissen en vergeet vooral niet te kijken naar een nieuwe aflevering van SpongeBob SquarePants om 17.15 op Nickelodeon! Follow NickALive! on Twitter, Tumblr, Google+, via RSS, on Instagram, and/or Facebook for the latest Nickelodeon Netherlands and SpongeBob SquarePants News and Highlights! Nickelodeon Changes The Name Of "Bad Seeds" To "Harvey Beaks"
Cartoonist C.H. Greenblatt has announced the exciting Nick news in a post on his official Tumblr blog, Nerd Armada, that his upcoming brand-new Nickelodeon animated series will now be called "Harvey Beaks"! Originally titled "Bad Seeds", C.H. Greenblatt and Nickelodeon had to choose another name for their all-new animated show due to trademark issues. Following discussions, Nickelodeon thought it would be best to name the series after the shows main character, Harvey. C.H. Greenblatt's all-new NickToon follows Harvey, a sweet and well-meaning bird, who makes two new best friends, Fee and Foo, the wildest imps in the forest. Although their friendship seems unlikely, their connection only grows as they push each other out of their comfort zones and into endless adventures. The show, which is created, written and directed by C.H. 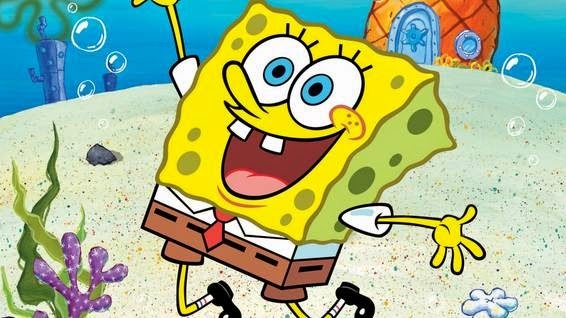 Greenblatt ("SpongeBob SquarePants", "Chowder"), is expected to premiere on Nickelodeon USA later this year, however, it is currently unknown whether the shows trademark issues will delay the shows debut. Nickelodeon picked up the series for 26 episodes in September 2013. 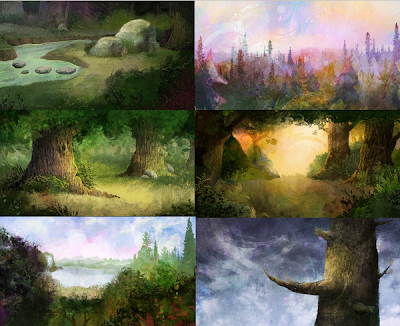 You can view each background artwork in its original size here on Nerd Armada!